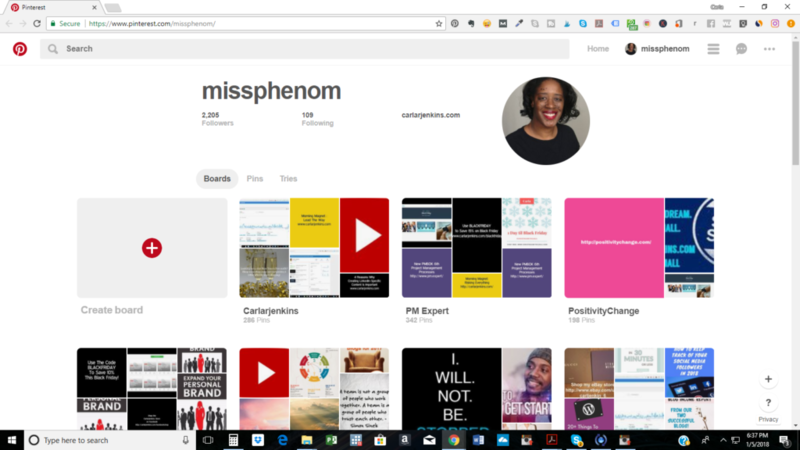 I have received 2200 (currently at 2221 Pinterest followers). This is my most followed social medium. I admit that my numbers have stagnated because I have been focusing mostly on myself by pinning aspirational images early in the morning. I will start pinning more images at night plus producing more content. I have pressed the restart button and will be creating more videos, blogs and images for all of my readers this February.